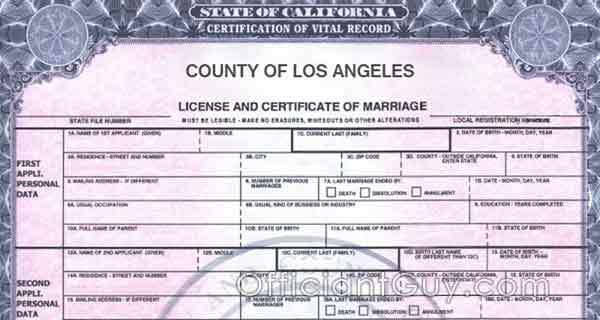 I have been authorized by the LA Registrar Recorder – County Clerk to issue California confidential marriage licenses for many years. Not only am I a wedding officiant, but I am a specialized notary public. To maintain that status I am required to take a class every year and pass a test to make sure I know what I’m doing and that I am following the current law and the requirements set forth by the County. Only then can I renew my specialized authority to issue marriage licenses. Precision, while satisfying the County Clerk’s detailed requirements, is extremely important so that an issued marriage license does not contain any fraudulent or incorrect information. That’s why I request from every bride and groom that their information is correct and spelled correctly. It’s important. Every mistake may cost you another marriage license or even invalidate your marriage. Every marriage license I issue takes time and concentration on my part to make sure that it is neat, clear, correct and well understood. I have been an attorney for over 20 years so that sort of precision has become second nature to me. Once in a while a mistake occurs and it takes a significant amount of time to correct it. I have been called by many couples who thought they were married by another officiant only to find that their officiant incorrectly completed their marriage certificate at the bottom of their marriage license, or that their officiant never filed their marriage license and certificate with the County after their wedding day. I have even been asked to “remarry” couples long after their big wedding ceremony because their priest or minister never filed their marriage license and certificate because he did not understand his responsibility in filling out the marriage license and too much time had passed file the certificate or to purchase a duplicate marriage license from the County Clerk. If a specialized notary makes too many errors in any six month audit period the County Clerk’s Office will place them on probation. If they continue to make errors at an impermissible rate the County will suspend their ability to issue marriage licenses for six months or forever depending upon how many mistakes were made. So if you meet an officiant who used to issue marriage licenses but no longer does so, it probably means that they made too many mistakes on their marriage licenses. I am very proud to say that I have never been placed on probation or suspended and that my relationship with the County Clerk’s Office is a respectful one. I see everyone in their office at least once a week because I am one of the only officiants who hands each signed marriage licenses to the wonderful folks who work at the LA County Clerk Registrar Recorder. I don’t trust the mail, and it’s important to me that each signed marriage license and certificate get hand delivered to make sure that they are received by a human, and that you get your marriage certificate copies in a timely manner. 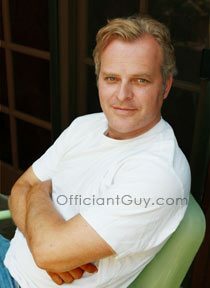 Because I take pride in what I do, and am discreet, I do officiate many celebrity weddings and issue confidential marriage licenses to protect their information and privacy. Their attorneys trust me. And to me, that trust is what makes it all worth it. UPDATE: I have to tell you, that this issue of marriage license mistakes continues through this last year. Even though I provide thorough information with the marriage license for the officiant who signs it, many problems have occurred this year from wedding officiants who put the wrong information in the wrong boxes, to ministers not putting the right denomination in the box, to wedding ministers losing the marriage license. Many brides and grooms have called me in a panic even though it was not me who messed up the marriage license. One couple was horrified to find that their marriage license issuer who smudged their notary stamp on the wedding license died and getting a duplicate license required that officiant’s help. 🙄 Sigh! All it takes is being careful and understanding that this legal document, if screwed up or misread or lost, can be a bigger hassle to correct than you think.